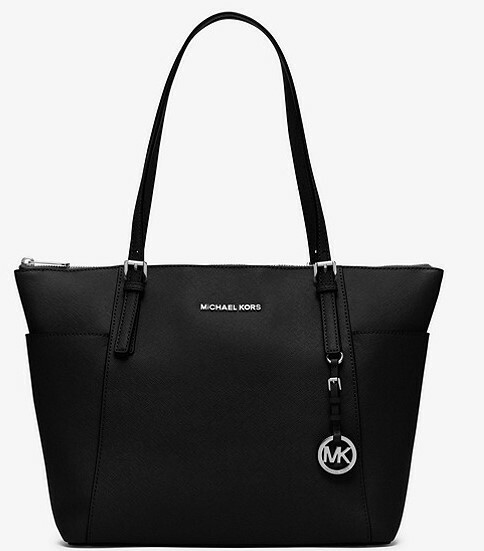 This Michael Kors Jet Set Travel Leather Tote is Sure to be a Purse Raffle Favorite! Jet setters, take note: this sophisticated tote is the ultimate travel companion. Crafted in signature black Saffiano leather, it sports a look that’s chic yet understated. A multitude of pockets keeps you organized, while the top-zip design ensures your essentials stay put, wherever you may go. 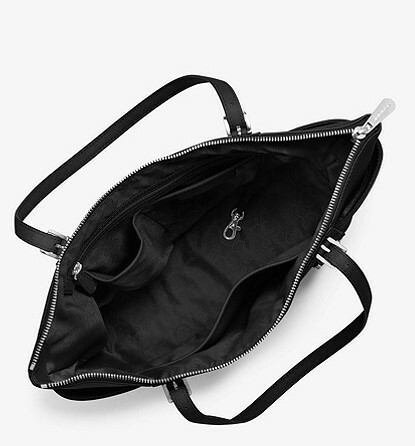 The tote features silver-tone hardware, 2 exterior pockets, a padded tablet sleeve, 2 open pockets and a key fob. 10″ drop handles, fully lined in polyester, with a zip top closure. This perfect bag for any busy lady on the go was donated to our Purse Raffle by the Woburn Teachers Association. Get your tickets today to our 5th Annual Women’s Forum event for your chance to win this great tote, or 14 other purses up for grabs in this year’s Purse Raffle. Join us at the Woburn Country Club on Sunday, October 21 to meet Candy O’Terry, take a chance on our fabulous Purse Raffle, and help raise funds for new projects in the Woburn Public Schools. Support Woburn Teachers and Inspire Innovation and Creativity in the Classroom. Our 2018-2019 Educator Grant Program is Now Open! Thank You Winning Home, Inc. for Investing in the Potential of Woburn Students! WCEF is proud to announce that in 2016 we have been awarded a Cummings "100k for 100 grant"!